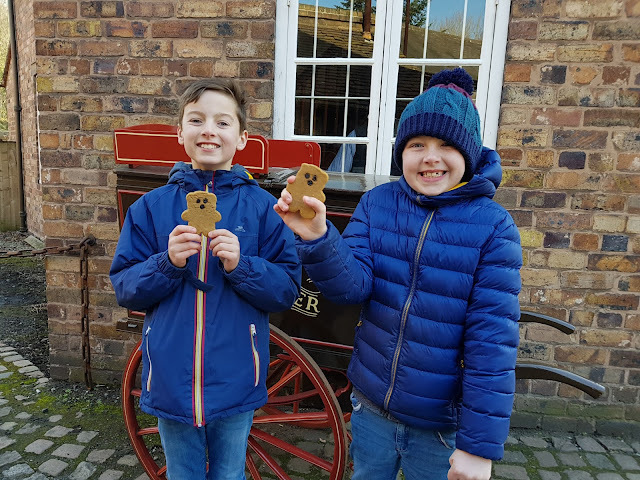 On Saturday we went back to Blists Hill. We bought annual passport passes this time as we needed to head somewhere to do our Oreo Cookie Quest Campaign. I think we will be using the attraction as a stop gap on our longer journeys! As a family we are huge fans of the chips there, so it can be a refreshment break and a chance to stretch our legs before heading back to the car to resume our trip. It is excellent value for £68 really, we also plan on seeing the Tar Tunnel when that opens later in the year. The tickets are not valid for evening events but we are unlikely to want to attend them so that isn’t an issue, we live too far away to stay that long. We spent about four and a half hours there. On your arrival you can head to the bank and change your own money into pounds, shillings and pence to spend in the chemist, candle makers, bakers and other shops. It does get a bit confusing using the old money but the staff were very patient and happy to assist. This time we attended the school! Something we missed on our previous visits. It was funny going back to a much stricter school regime, heaven help you if you didn’t address the head correctly. It was interesting hearing the teachers thoughts on left handers and how its sinful to want to raise yourself above your own class in life! In that respect things have changed for the better, I think we should encourage children to strive to achieve the most out of life and not be restricted to where they started out in life. The headteacher is the friendly policeman we have seen before I think, but he was very realistic in his role at the school. Intimidating and worthy of your attention! The attraction wasn’t too busy, so you had plenty of space to spread out and really see all the exhibits. The staff in the cottages were so friendly, very informative and helpful. I can’t believe that seven people used to live in one of the cottages which is probably only slightly bigger than my living room. I just think how crazy bedtimes can get imagine trying to settle five children to sleep in one bed! 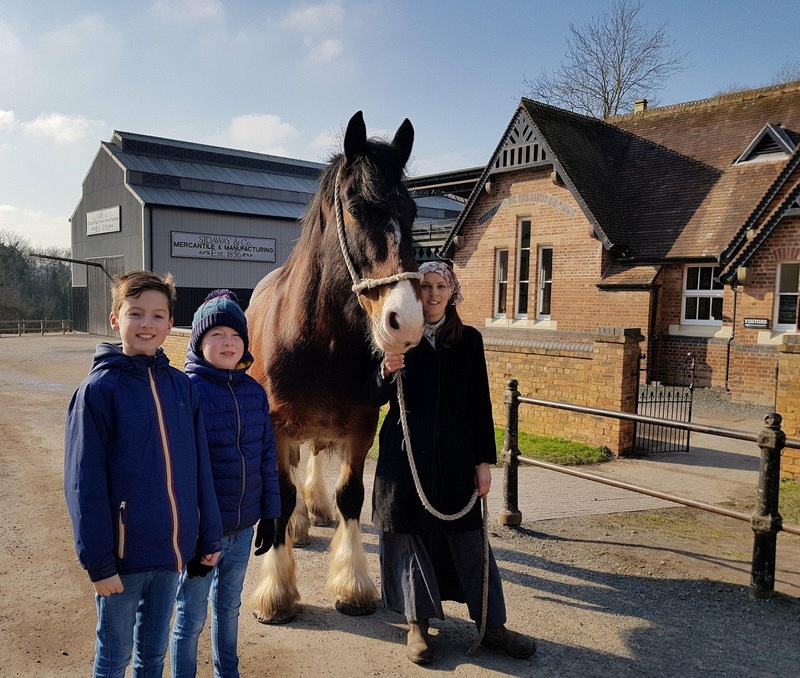 The boys were lucky to meet this beautiful horse. This time we did skip the candle dipping but was one activity that did have a relatively big queue. We decided not to wait this time as I am sure we will be back again soon. The freshly baked currant loaf from the bakers was still warm to the touch, it was a tasty treat! The children had gingerbread bears I think they were. These helped coax them along for the walk. I really like going into the pharmacy just to smell that slightly clinical scent in the air and also to look at the handmade soaps. The sweet shop is okay, but the range isn’t as exhaustive as some we have visited in the past. The boys wouldn’t be happy without visiting it though. We are all looking forward to our next visit.